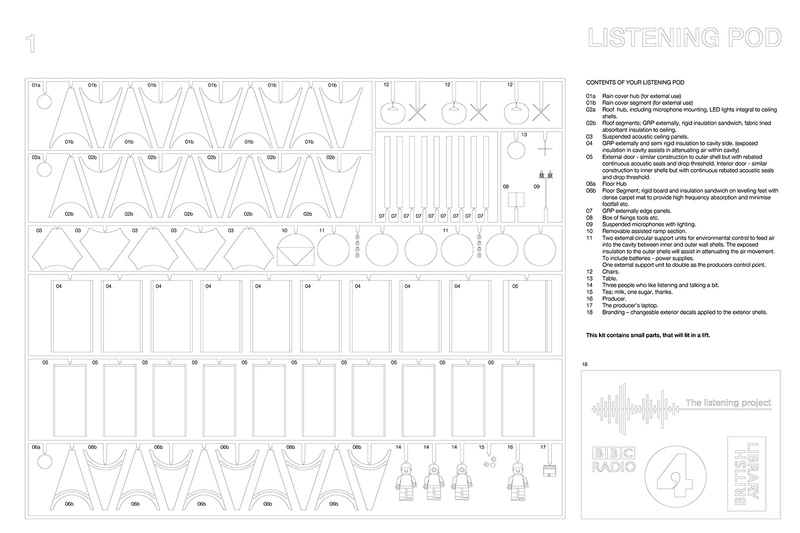 Creating a travelling Listening Pod, to extend the geographical reach of this oral history project. 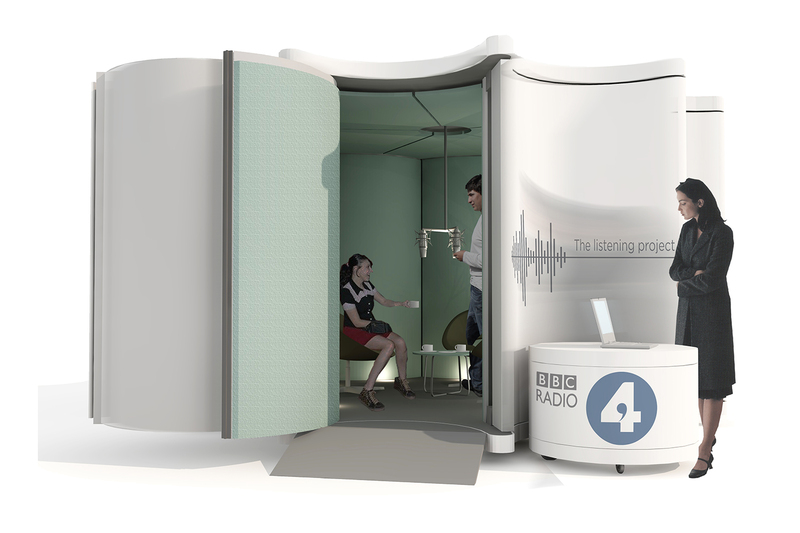 The RIBA competition asked participants to create a special Listening Pod to travel around the UK, to extend the geographical reach of this unique and important oral history project. The ‘pod’ had to break down into pieces small enough to be brought into normal office buildings through the doors and normal lifts. 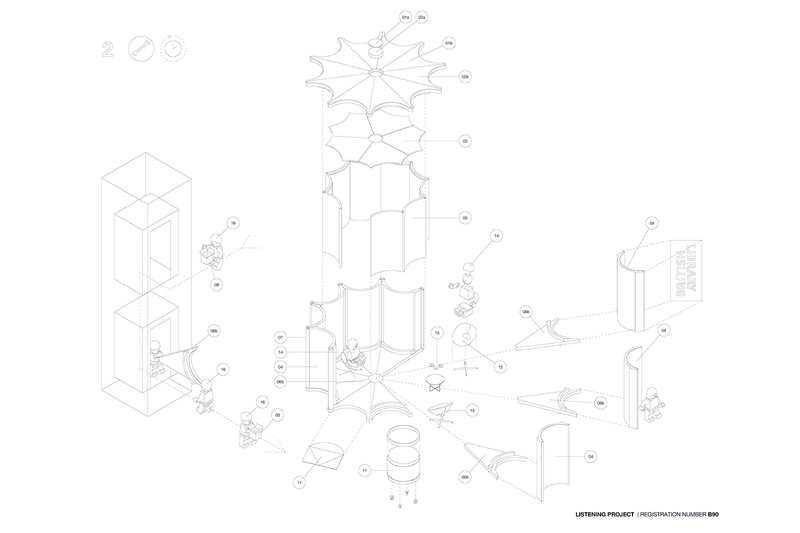 Therefore to create an integral soundproof structure we have used the form and geometry of a radial structure to allow wide compressible joints to be “pulled in” and clamped into position to create an airtight interior. 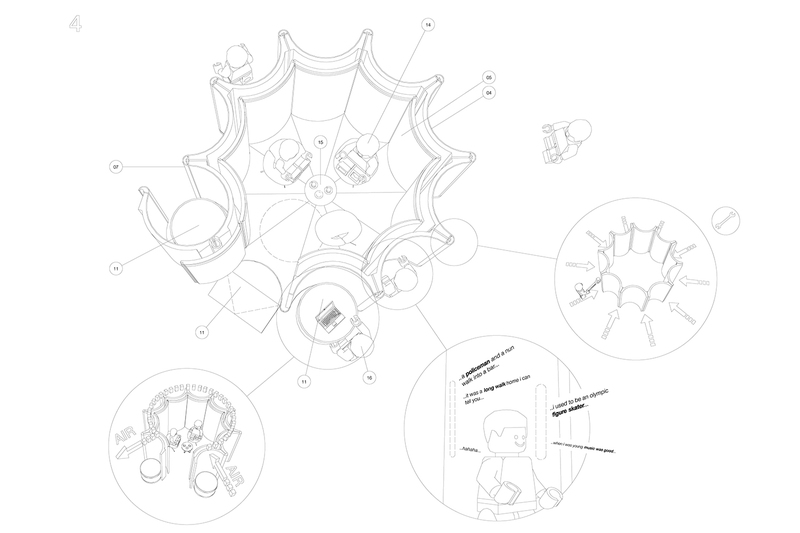 The radial shells that form the exterior envelope form “listening niches” to allow passers by and visitors to engage in the project via built in speakers. The pod comprises an outer ‘protection’ shell, resiliently separated from the inner ‘acoustic‘ shell, which achieves a mass/spring/ mass sound insulation system. Air is circulated within the exposed cavity providing attenuation by forming a circular labyrinth. The depth of the convex fabric-covered surface to the interior space diffuses incident sound, and provides absorption to the “recording” environment.